Somos una organización comunitaria que une a diversos miembros de la población inmigrante en Humboldt, con fuertes raíces históricas, sociales y culturales. Reconocemos el valor de nuestras Raíces Indígenas y ofrecemos un espacio para el empoderamiento de nuestra comunidad, con prácticas de auto determinación política y cultural. 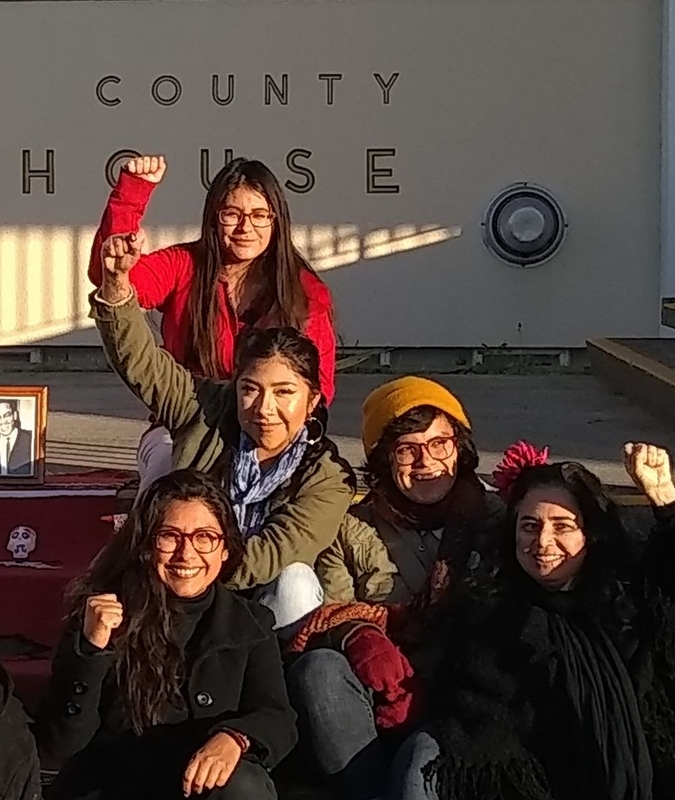 Seventh Generation Fund For Indigenous People, Inc.
A sanctuary law for Humboldt County to enhance local control of our public safety dollars; expand community safety; and help keep families together. The purpose of the Sanctuary Ordinance is to foster respect and trust between law enforcement, County agencies, personnel, and residents, to protect limited local resources, to encourage cooperation between residents and County officials, including and especially law enforcement and public health officers, employees, and to ensure community security and due process for all. 1251 9th St. Arcata, CA. Centro del Pueblo organiza la discusión sobre las trabajadoras del hogar en Estados Unidos. A las 6 pm unas invitadas especiales nos hablarán de su experiencia y a las 6:30 proyectaremos la película ROMA. Habrá tamales y otras sorpresas en beneficio de las invitadas especiales. No Faltes! Centro del Pueblo invite you to know more about house workers in the United States. At 6 pm some special guests will tell us about their experience and at 6:30 we will show the film ROMA. There will be tamales and other surprises. Centro del Pueblo (CDP) is a grassroots group. Since 2016 the group has been working to implement a Sanctuary measure in our county. Our first success was winning a sanctuary measure for the city of Arcata. And now in 2018, the Measure K will be voted on the November ballot to protect the entire county. Why is important the Sanctuary Ordinance? Families fear interacting with local law enforcement or even reporting fires. When people are afraid to seek services, the entire community suffers from higher rates of unsolved criminality, spreading of disease, and a lack of social mobility. Offering parental preference regarding custody and residence if separated from children. Measure K recognizes the importance of family cohesion. Helping law enforcement. County funds will not be used to investigate or report immigration status which will encourage crime reporting and cooperation, and local resources will not be used for unfunded mandates. Encouraging families to access vital services. Immigrants will be more likely to consistently take children to school and access health care and vital services, reducing risks to the larger community. Saving local law enforcement money and resources. Measure K legally prohibits detentions solely for immigration enforcement purposes and prohibits random fingerprinting. Avoiding unnecessary pain to families and the community. In cases of mandatory Immigration enforcement, Measure K ensures humane procedures. It’s important that churches are declaring themselves sanctuaries, but it’s just as important for the county to pass a sanctuary law which will prohibit collaboration between local law enforcement and ICE agents except when required by state or federal law. Since February 2018, the Sanctuary Committee has showcased the importance of discussing immigration as a human experience in Northern California. The Sanctuary movement that Centro del Pueblo started lights up the strength of Latinx residents to organize a campaign that is present in radio, TV, rallies, festivals, theaters, and the Humboldt State University, to make a statement in defense of families, Dreamers, all members of this community that respect and appreciate the richness of diversity. In 14 weeks, our volunteers gathered over 6,000 signatures. With love and joy for the immigrant community of Humboldt, we move forward to discuss our rights to a happy safe life. Centro del Pueblo has put on over 12 events supporting Dreamers, Families Belong Together, Workers, Students, Local artists. This means that thousands of residents will be impacted with our actions.